A sure-fire way to liven up any dish is to add the delicious taste of bacon! Celebrating their 10th Anniversary, Cookwell & Co. gave me a jar of their new Better Than Good Bacon Jam to try – just in time for Easter dinner! Pair this hearty side dish with chicken, pork or pasta and discover the savory flavor of Cookwell & Co.’s Better Than Good Bacon Jam. It is obvious why they have been so successful for the past 10 years, and in the years to come. This stuff is addictive! Preheat oven to 375°F. Place Brussels sprouts, onion, garlic, oil, salt and pepper in a medium bowl and toss or stir to combine and coat. On a foil lined baking sheet spread out sprout mixture in a single layer. Roast in oven for 30-35 minutes. Sprouts should be fork tender but not mushy. 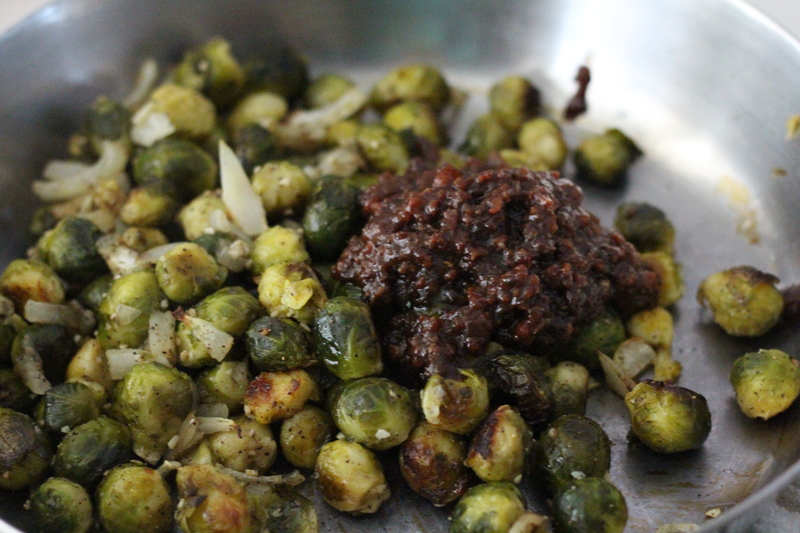 While still hot place Brussels sprouts in a bowl or skillet and pour in 1/2 jar of Better Than Good Bacon Jam. Stir or toss to coat and serve. Austin-based Cookwell & Company is celebrating 10 years of creating food products that elevate the everyday eating experience by providing the products necessary to prepare quick, easy to make, but great tasting meals that you will feel proud to serve to your friends and family. Check out this Super Bowl commercial featuring their BACON JAM! 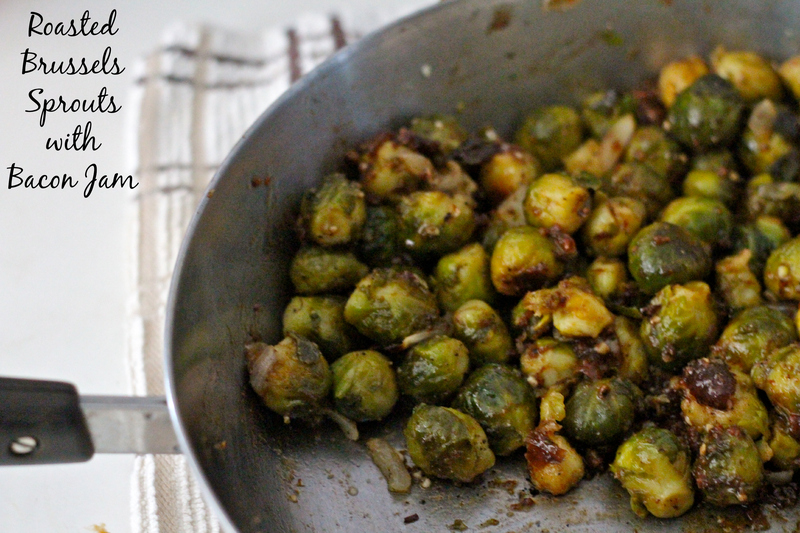 I’ve never been a fan of brussel sprouts, but lately I’m thinking I need to try them again! This recipe looks delish!